Address: 995 North Fork Hwy. The selection of private cabins at Creekside Lodge can accommodate one to twelve people and are available for one night rentals up to a relaxing week-long stay. Each cabin is outfitted in classic Western decor and features a full bath and individual amenities. 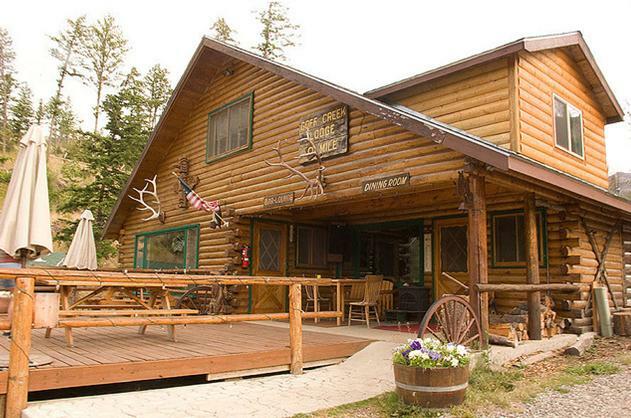 The lodge provides a continental breakfast daily and now offers a general store. Accommodations can be made for cookouts when reservations are made in advance. Grills are available for guests to use and the stables at Creekside Lodge are available to guests and open to the general public. Open May through September. Pets welcome.